Should Melee classes use mana? 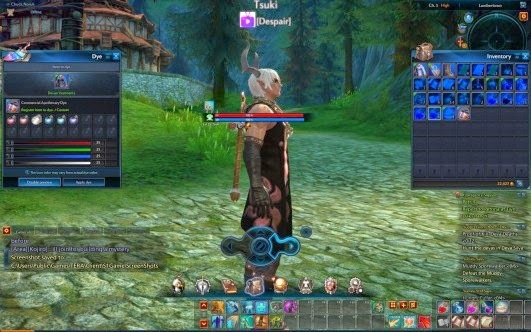 In a lot of MMORPGs I noticed warriors use mana for a lot of their skills. I understand that warriors have to have a certain limitation when using skills just as mages do, and that's the mana bar. But there are alternatives such as Stamina or Rage bars that are made mostly for melee classes and act as a substitute for the mana bar. Because mana is considered magical energy, and melee classes usually don't use any magical energy. I guess mana works for melee classes on some MMORPGs that infuse melee classes with magical properties and abilities, but in MMOs that aren't sci-fi and aren't completely fantasy which are usually set in historic times, it just doesn't make sense. While on the subject, I think magic users should have stamina as well. And using spells should potentially consume stamina too because they require some physical activity too. Of course this isn't a huge problem with MMORPGs. But the fact that MMORPGs try to be realistic, there is very little logic behind mana and stamina in a lot of them. So of course this doesn't apply to all MMORPGs, a lot of them have actually thought about this. While others just ignored this completely and kind of assumed that mana and stamina are basically the same thing and applied it to nearly every skill for every class.